Jesus is the Messiah and the book of Numbers is all about him. But it is very much about us too. As the Israelites were pilgrims on the way to God's promised land, so are we pilgrims on the way to God's promised inheritance for us. As such, the book of Numbers has much to teach us. Why read the book of Numbers? 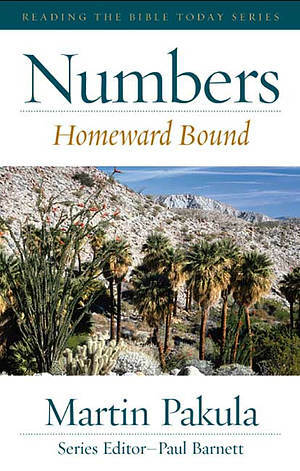 Numbers : Homeward Bound by Martin Pakula was published by Bluebottle Books in November 2006 and is our 28763rd best seller. The ISBN for Numbers : Homeward Bound is 9781920935443. Be the first to review Numbers : Homeward Bound! Got a question? No problem! Just click here to ask us about Numbers : Homeward Bound.